Register to vote, NOW. It is your responsibility! And duty. Many states require you to register 30 days before an election. You don’t even have to go anywhere to register your vote just to a computer. 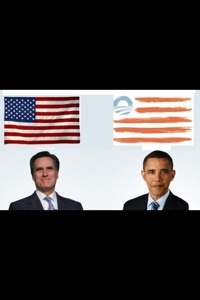 The Obama social media are the experts in this election. From his web page you can register and you can be a Republican or a Democrat. Btw, by using the Obama website- you are offering up a whole bunch of privacy concerns as even your IP logs. Mitt Romney’s website does not offer a means to link to register to vote. For a pretty smart man, this is an oversight that may come back on him. Ironically, there doesn’t seem to be a .gov place to vote. RegistertoVote.org claims to be a nonpartisan organization committed to reaching the 30% of the population that are not registered. Even those who support small independent business offer a site. There’s probably more places on line or you can register at you local election offices. Go Vote, and please vote Romney!